I just realized there are no fun puns involving the word Fedora, and I had to think hard before I came up with a somewhat (un)witty title. But what I really wanted to do is, talk about the Linux distribution carrying this name, and how it can be made friendlier for home users. Why? Because Fedora ships with free software only, by default, which means that some of the common, popular stuff many people use will not be available by default. Proprietary solutions like Adobe Flash, MP3 codecs, Steam, Skype, and whole bunch of other programs will not be in the repos, and you will need to take some extra steps to get them. This little guide should make your life easier in that regard. If you have followed my reviews, especially Fedora related, then you know the task of obtaining the good stuff is relatively easy. But let’s pretend for a moment that you’re brand new to the Fedora experience. In that case, we need to discuss a couple of handy tools designed to make the distro more accessible. Both these programs will enable additional, third-party repositories behind the scenes, and then let you download cool, popular software. The first candidate is easyLife, which I have been using for several years. It’s usually the very first program that I install in any new Fedora setup, followed by some rigorous bandwidth utilization. EasyLife is available as a standalone RPM, which you can download and run. 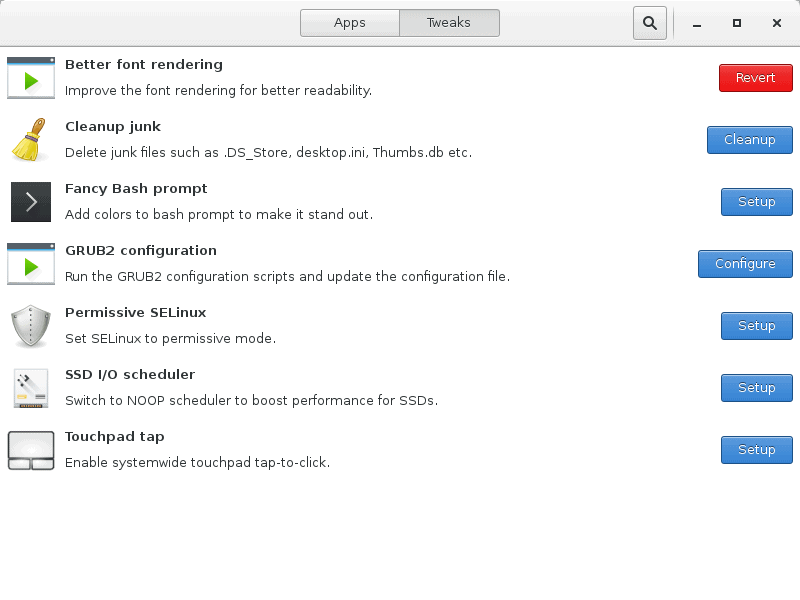 It will then grab several dependencies, and then open a simple, straightforward GUI. 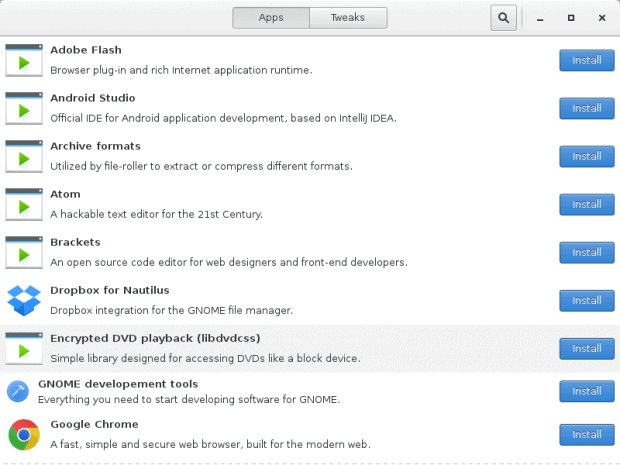 The list of available software is limited, but it is quite useful. It covers most of the stuff most people may need, including DVD tools, codecs, fonts, several system tweaks, Nvidia drivers, Java, Flash, and others. You can select one or more items, and they will be downloaded and installed serially. You can check the software progress in a separate console window that easyLife opens when running. EasyLife is a good and fairly robust program, but not without quirks or areas for improvement. The installation may be accompanied by bogus failure messages, as we have seen in the Fedora 22 review. Moreover, the GUI will not retain history, so you may accidentally select items you have already installed, only to be notified that they are already there. The installations are slow due to the serial method, and you cannot really remove anything through the GUI. However, all that said, easyLife is a useful and capable tool. Our second candidate is Fedy, formerly Fedora Utils, which can be setup using a single instruction, available for copy & paste on the official site. 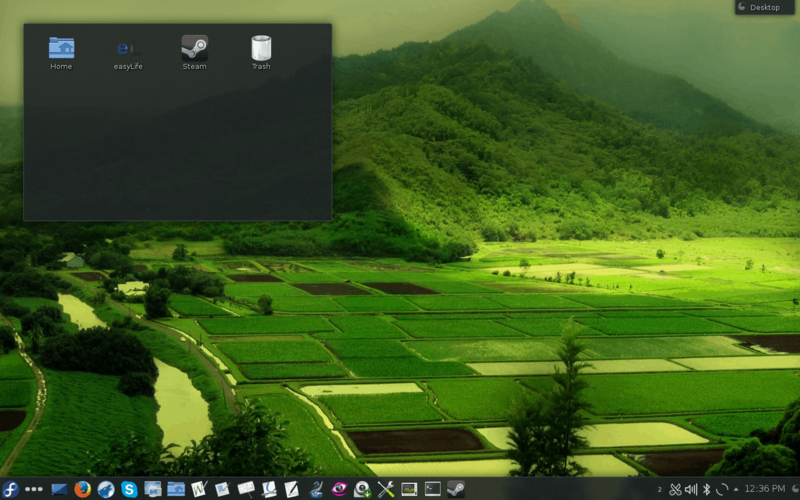 Fedy is a tool with its own distinct Gnome 3 like interface, and it does not integrate well into the KDE or Plasma setups. The GUI is simple and clear, and it comes with two main views – apps and tweaks, which are rather self-explanatory. 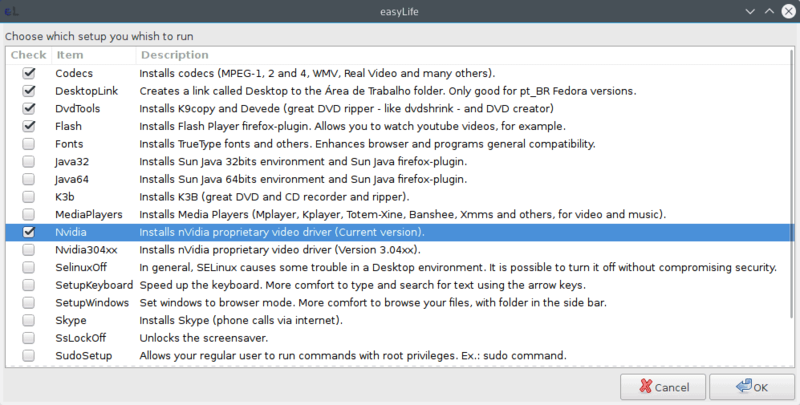 You can install, but also remove, applications using a single-click button on the right side for each listed item, an advantage over easyLife. On the other hand, Fedy does not let you do multiple tasks at the same time, so there’s a bit of management hassle. 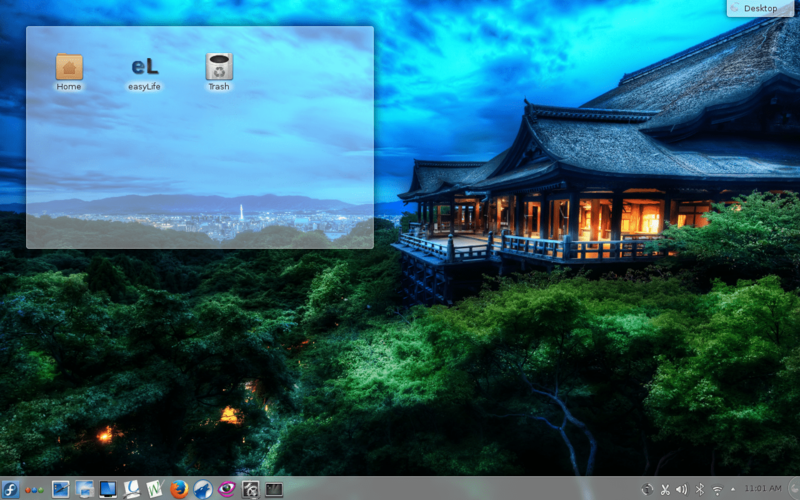 The available collection of applications includes a set that is similar yet different from easyLife. The most notable difference is in some of the third-party tools, including some seemingly controversial choices like Popcorn Time, as they might not really be a good choice in all parts of the world. 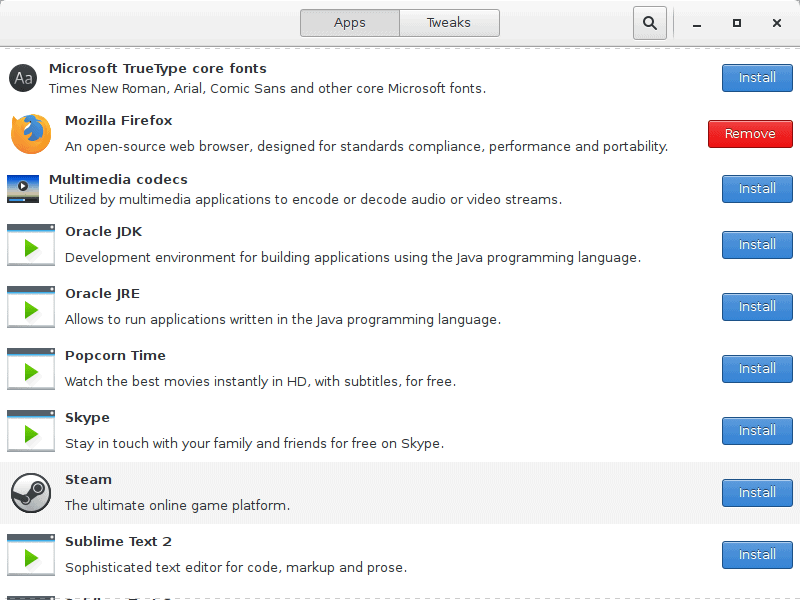 Then, you do get Chrome, Firefox, Java, Flash, Skype, Steam, codecs, fonts, and more. On the tweaks side, there are some innocent and useful options, like font rendering, permissive SELinux options, and touchpad configuration. But GRUB2 changes, SSD I/O scheduler changes, as well as cleanup of so-called junk files is definitely not something you want to do without proper understanding – and backup – of your system. There are still many other ways you can tweak and improve your Fedora. In the past, a tool called autoten would let you achieve similar results to the above. You can also manually configure additional repositories and install software as you please, although this might be considered a more advanced task. For skilled users, this might actually be a preferred method. Either way, history shows us there’s quite a bit of activity and volatility surrounding Fedora tweak utilities, as they come and go, change, and offer almost arbitrary arsenals of goodies, so you might want to consider your options carefully, make sure you are not playing with any critical data, and apply these tweaks one by one. Software installations are usually trivial, but some of the system changes are not. But in the end, you could have a very pretty, fully functional Fedora staring back at you. Both easyLife and Fedy are useful, practical tools. Simple to use and mostly harmless. Emphasis on mostly. They also have their distinct advantages. 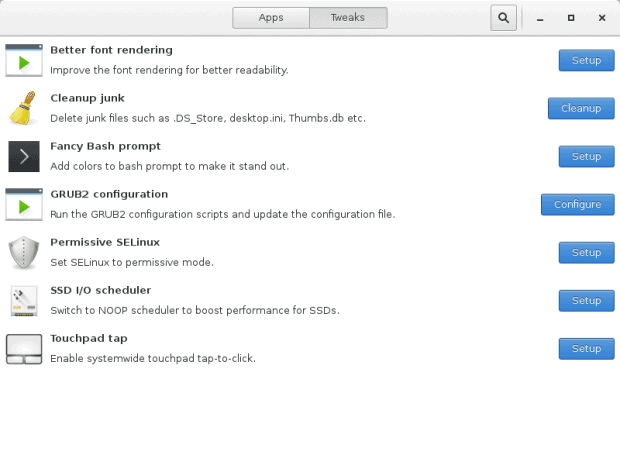 The former feels a little more mature, and offers easier software installs. 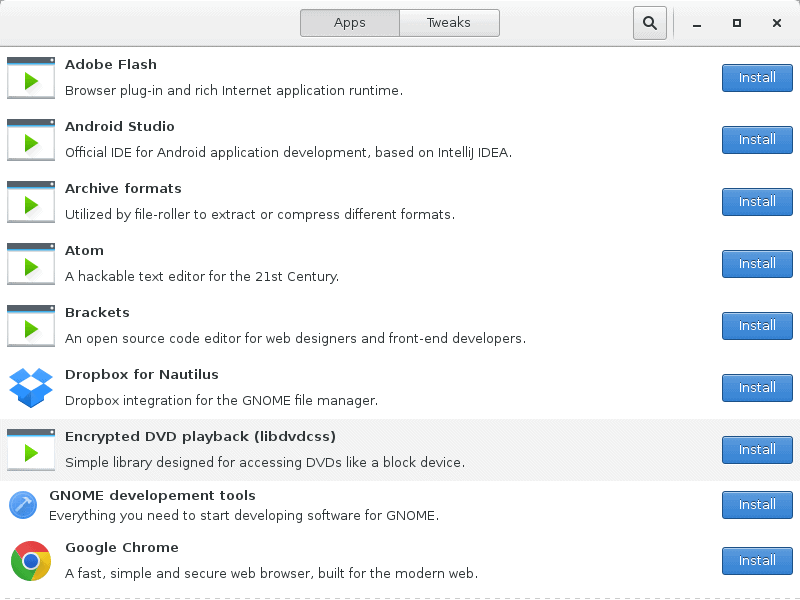 The latter is designed for Gnome 3 use, and it will let you remove programs or revert changes, should you regret them. The collection of available programs and options is quite colorful, but it does cover most of the daily use stuff, with some potentially controversial inclusions. Personally, I am more inclined toward using easyLife, probably because I am more used to its quirks, and I don’t mind the longer installation times, as long as they end up in a safe, predictable manner. If you are already well versed in Fedora, and Linux in general, and you can spare a moment or two learning about Fedora’s package management and repositories, you might want to consider adding fresh new sources manually, but be aware of conflicts and potential problems with future updates. Well there we are. Fedora, a system that is normally intended for mainstream use, is now at your disposal. Use it wisely. What about it? But maybe I’ll check it in a separate review.